The important concept of “hibernating myocardium” (myocardium means heart muscle) still seems to be a foreign idea to some doctors, but cardiologists are well aware of it. In some people with coronary artery disease (CAD), portions of heart muscle that appear to be severely damaged and non-functional are actually still viable and can be “revived” if the blood supply is restored. It has been estimated that between 20 to 50% of people with heart failure caused by CAD have a substantial amount of hibernating myocardium, and therefore, have the potential of realizing meaningful improvement if blood flow can be restored to their cardiac muscle. Traditional medical thought did not leave room for such a thing as hibernating myocardium. The heart muscle functions normally as long as there is sufficient blood flow. If the blood flow becomes insufficient to meet the needs of the heart muscle (for instance, when a person with CAD begins exercising), the muscle becomes transiently ischemic (starved for oxygen), and angina may occur. Ischemic heart muscle does not function normally. In fact, performing an echocardiogram during exercise is one way to diagnose ischemia, since the echo test can visualize segments of heart muscle that fail to contract normally when they are deprived of sufficient oxygen. The way doctors traditionally thought about CAD, either the ischemia would soon go away (because, for instance, the person with CAD would stop exercising when angina appeared), or the ischemia would persist until a heart attack (myocardial infarction or death of heart muscle) occurred. So classically, the myocardium supplied by a diseased coronary artery could exist in one of three states: normal, ischemic, or dead. Hibernating myocardium is just what it sounds like. Like a bear hibernating through the winter, despite all appearances hibernating heart muscle is not dead, but rather has just assumed a “dormant” state. It no longer functions normally — it does not contract with each heartbeat, and is not contributing to the work of the heart. But neither is it dead. It is merely in a state of self-protective inactivity. It has shut down every one of its functions that is not immediately critical to its staying alive. Heart muscle may enter a state of hibernation when the CAD is severe enough to produce ischemia that is chronic and relatively constant, rather than the more typical ischemia that comes and goes relatively infrequently (which is the case in most people with angina). So, essentially, the heart muscle is never really getting enough blood flow to function normally, but it is — just barely — getting enough blood flow to stay alive. Hibernating heart muscle is an important concept because the muscle is still potentially viable, and the hibernation can be reversed. If the hibernating muscle’s blood supply can be restored — through bypass surgery or stenting — there’s a reasonably good chance the hibernating myocardium can “wake up,” and begin once again contributing to cardiac work. In a person with heart failure, this increased cardiac work capacity might make all the difference. There are special tests that cardiologists can do to help differentiate hibernating myocardium from heart muscle that is non-viable (that is, dead), including MRI studies, and special echocardiographic testing. Since this kind of testing is non-invasive and essentially risk-free, pursuing the possibility of hibernating myocardium is often entirely reasonable. If this assessment reveals a substantial amount of hibernating myocardium, then “waking up” that portion of heart muscle could potentially improve heart failure significantly and surgery should be strongly considered. Allman KC, Shaw LJ, Hachamovitch R, Udelson JE. Myocardial Viability Testing and Impact of Revascularization on Prognosis in Patients with Coronary Artery Disease and Left Ventricular Dysfunction: a Meta-analysis. J Am Coll Cardiol 2002; 39:1151. Kim SJ, Peppas A, Hong SK, et al. Persistent Stunning Induces Myocardial Hibernation and Protection: Flow/function and Metabolic mechanisms. Circ Res 2003; 92:1233. Parasher PS, Daher IN. Myocardial Recovery after Hypoxia: Stunning Recovery. 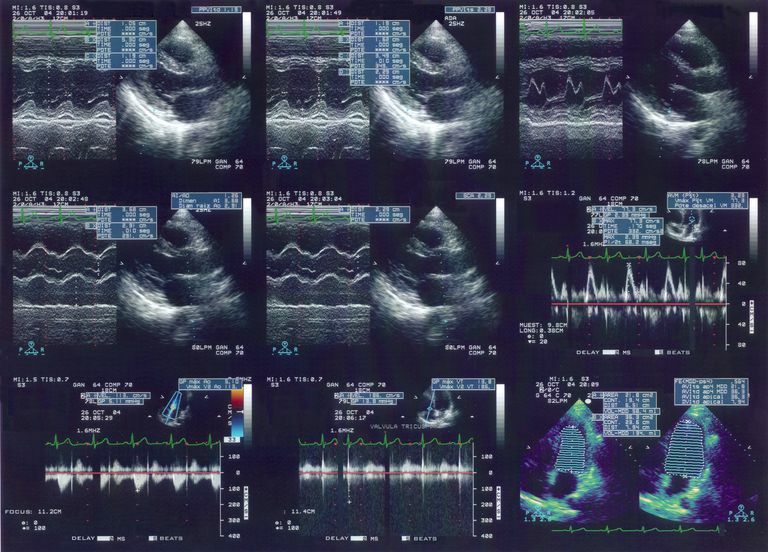 Echocardiography 2008; 25:1011. Rahimtoola SH, La Canna G, Ferrari R. Hibernating Myocardium: Another Piece of the Puzzle Falls into Place. J Am Coll Cardiol 2006; 47:978. Yancy CW, Jessup M, Bozkurt B, et al. 2013 ACCF/AHA Guideline For The Management Of Heart Failure: A Report of the American College of Cardiology Foundation/American Heart Association Task Force on Practice Guidelines. J Am Coll Cardiol 2013; 62:e147.